If you have a SharePoint Survey List with over 100 list items/submissions, an export to Excel from the Actions menu will only yield the first 100 items of the list. This is a SharePoint 2007 farm by the way. Not sure if this is still applicable for 2010. For some reason, the SPView.Paged property is set to false by default and thus only the default first 100 items of the query will be returned to Excel when the list is exported. 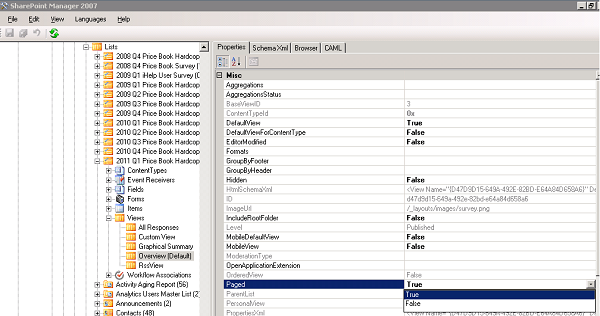 Changing the Paged property for the default view of the Survey List.